Many, including yours truly, have been talking about the challenges facing aviation and the declining pilot population in the 21st century. Among them is the public perception that flying is mundane, as exciting as taking the bus or driving a car. In recent posts I’ve mentioned that there are no role models today who might possibly get people excited about aviation, that we are a generation or two removed from the inspiring exploits of Lindbergh, Earhart, and their aeronautical peers. And like many talking about aviation’s challenges, I have few suggestions or solutions. 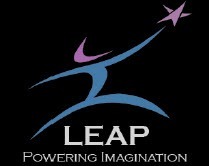 And then I learned about LEAP—the Lindbergh Electric Aircraft Prize—at the World Electric Aircraft Symposium held during EAA AirVenture Oshkosh (see Electric Aircraft & Air Show Possibilities). Before presenting the inaugural awards, Lindbergh’s grandson Erik mentioned the declining interest in aviation, and decided to do something about it, which only seems fitting for the founder of the Creative Solutions Alliance. “Imagine being a student today and being able to see the Wright brothers take off at Kitty Hawk,” Lindbergh said, or to watch his grandfather take off for Paris from Roosevelt Field—today, “electric flight is that opportunity!” Those record-setting accomplishments “changed the world’s perception of flight,” he continued, and the fledgling field of sustainably-powered flight can do the same because it is not just about flight, it is about the technology that will make it possible. LEAP is not about the $25,000 prize money. It is about earning the recognition in the prize’s three categories: Best Electric Aircraft (won by the Yuneec); Best Electric Aircraft Sub-system or Component Technology (won by Sonex for its eFlight Initiative electric propulsion system); and the Individual Achievement Award (won by Axel Lange for the Atares 20E, the world’s first certified production electric aircraft). 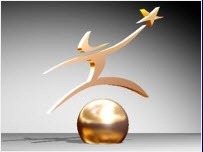 LEAP’s cash award was decided upon at the last moment, Lindbergh said. It equals the Orteig Prize that in the first century of powered flight inspired seven teams to spend $400,000 in their attempts to fly the Atlantic and claim it, a 16x return on Orteig’s investment. And their efforts inspired the world to look skyward and earn their wings. LEAP will present its 2011 awards at Aero-Friedrichshafen in Germany, as well as AirVenture. In a complementary effort, thanks to the generosity of AeroLEDs, Aircraft Spruce & Specialty, Dynon Avionics, and Wicks Aircraft Supply, EAA will award a $60,000 E-Flight Prize to the individual or corporation that demonstrates the most promising level of electric flight achievement at AirVenture 2011. Does the Aviation Industry Really Care About Pilot Population Growth? This entry was posted on Wednesday, September 15th, 2010 at 8:30 pm	and is filed under Aviation Marketing, Blogging, General, Light sport aircraft, sport aviation. You can follow any responses to this entry through the RSS 2.0 feed. Both comments and pings are currently closed. Looks like an inspiration for engineers, but not pilots. At this stage of development, you’re probably right, but given people’s fascination with technology today, aren’t we all pseudo engineers? People today like to play with systems, which is why many light-sport aircraft are ordered with autopilots. That way sport pilots can “fly by wire” rather than getting tactile with the stick and rudder (except for takeoff and landing, naturally). And if electric aircraft insprire bright young minds, to get involved in the technology, they’ll learn to fly so they can run their experiments first hand. Like all the other ideas, it’s not a one-shot panacea but rather another flickering candle of interest to attract suitably interested moths.